Hopefully you took some time to contemplate the questions Dave and I asked last week concerning your beliefs about the role work plays in your life and the lives of those around you. These are important questions. If you don’t know the answers, you’ll be (by default) operating in a “values vacuum.” Organizations operating in such a state are filled with people who are languishing. They repel high performers both from a recruiting and retention perspective. That made me laugh…because it’s so true! Change connected to human behavior (especially our own) is always a challenge. The answers are difficult, and they don’t come quickly. Should you give up? No! Hard fought victories are the most rewarding. Instead of giving up, get focused. Spend a day with us in Seattle for an intensive look at the psychology of recruiting for the real estate industry. Come to the edge of the Third Pool and we’ll find the answers together. I know some of you have received personal invitations to the Edge Conference. Thank you to all those who have signed up earlier in August. We sold out of both our “earlier bird” and individual discount ticket stashes. There’s a wonderful group of recruiting coordinators and hiring managers from a number of high-performing companies who will be gathering in Seattle on September 16th and 17th. If so, point your browser to the conference site: http://edge.thirdpool.com and get signed up. Because our discount tickets sold out quicker than expected, we’re going to offer an additional 10 discount tickets to those who sign-up before September 2nd. Also, there is a supplemental discount offered if you buy two tickets at one time. So, bring a friend or colleague from your company—you’ll save more and learn more. Me, Attend a Recruiting Conference? The Edge Conference is a response to many of you wanting more information about the (not so) simple psychology of recruiting. There are topics we can’t fully cover in WorkPuzzle. There are problems that can’t be fully solved in conference calls and emails. It sometimes takes a personal connection. Getting out of your environment and spending some time focusing on the strategic issue of recruiting allows you to see things you wouldn’t otherwise see. It equips you to make changes that seem overwhelming. It also connects you with a network of others who are struggling with many of the same problems needing to be solved in your organization. It’s helpful to tap into the thoughts of a broader group of individuals who know and care about your situation. Yes, you should attend our recruiting conference. Check it out and get signed up. 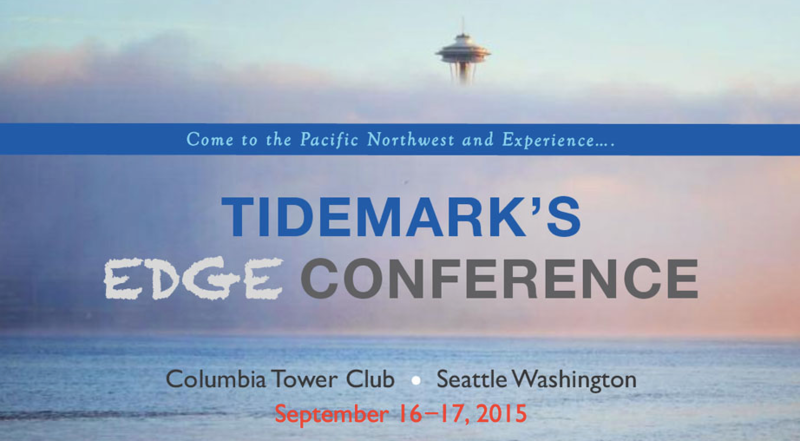 We’d love to see you in Seattle next month.